Put creamy peanut butter and peanut butter chips together and what do you get? A cookie that's twice as delicious, of course. The Krusteaz story began in 1932 when a group of women from a Seattle bridge club created a just-add-water pie crust that was an industry first. 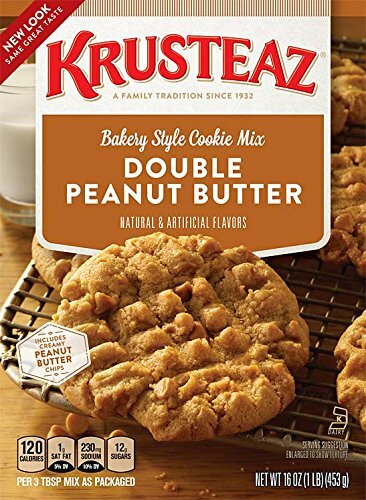 Today, Krusteaz remains a family-owned business that stands for innovative products, premium ingredients and easy-to-make mixes to fit every occasion. The product line includes pancakes, waffles, muffins and quick breads, cookies, dessert bars, cornbread, crumb cakes and more. Every box invites consumers to have fun in the kitchen, get a little messy, fuel their creativity and enjoy the possibilities Krusteaz mixes bring to the table.